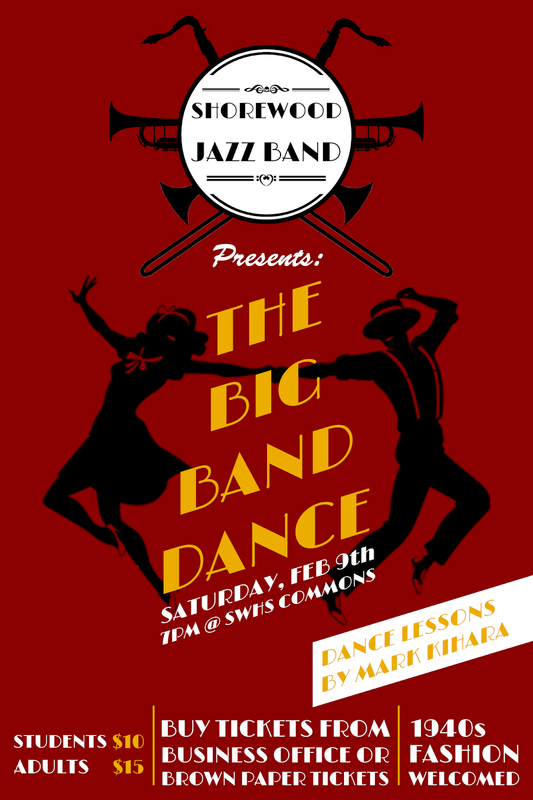 The event is fun for people of all ages and features the SWHS and Einstein middle school jazz bands as well as dance lessons by Mark Kihara. Lessons are a group event, with the whole crowd participating. They begin at 7pm. There will also be a raffle and snacks. Semi-formal clothing is recommended and as it is a Jazz event, 1940s attire is also welcome. Tickets are $10 for students and $15 for adults and all of the proceeds go to help the SW Jazz program. Tickets can be bought from the SW business office during school hours, online from brownpapertickets.com, or at the door.